Permanent Coquille villages typically consisted of houses built from timbers and planks, with one family group occupying each house. 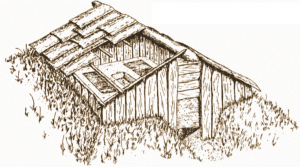 Most permanent villages were located near abundant year-round food sources. Estuary shorelines and sheltered coastal bays offered plentiful food, and canoe travel was easy. Farther inland, villages were located near rivers with plentiful fish stocks and valleys where deer and elk wintered. In the uplands and interior valleys, multiple groups commonly shared hunting and food-gathering areas. When these shared resources brought together Coquilles and other groups, the gatherings were occasions for celebration, renewing old relationships and making new ones. These events became traditions passed down through the generations. The Coquille Tribe recalls these traditions with events such as our Midwinter Gathering, Restoration Day Celebration and Nee Dash (solstice) dances. Because trade and intermarriage built bridges to neighbors near and far, our Coquille ancestors shared much of their culture in common with other peoples of the Pacific Coast region. For example, much-prized dentalium came from Vancouver Island. Obsidian came from the Klamath Falls area, among other places. Most of our people’s tools and household possessions were similar to those of neighboring groups. 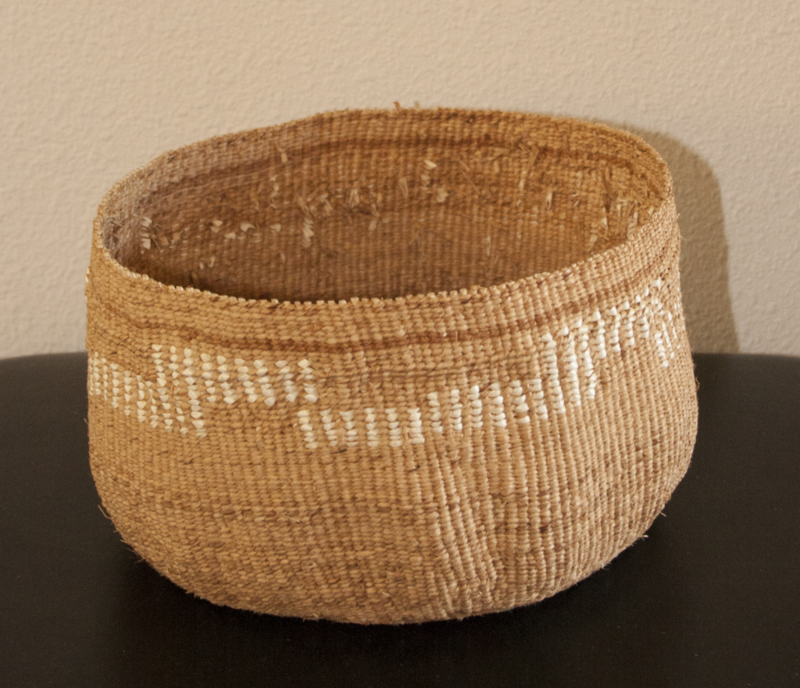 Using spruce roots in basketry was one such Coquille specialty. Coquille artisans (along with their better-known Haida and Tlingit counterparts in Alaska) wove spruce roots into watertight cooking baskets. Coquille cooks would heat water to boiling by dropping fire-heated rocks into these tough vessels. Another distinctly Coquille product was the blueschist adze. Because of its extraordinary hardness, blueschist was difficult to shape, but it yielded a tough, durable tool. A blueschist adze, sometimes mounted on an intricately carved wooden handle, was both useful and prestigious. It was integral to the Coquilles’ production of cedar canoes. 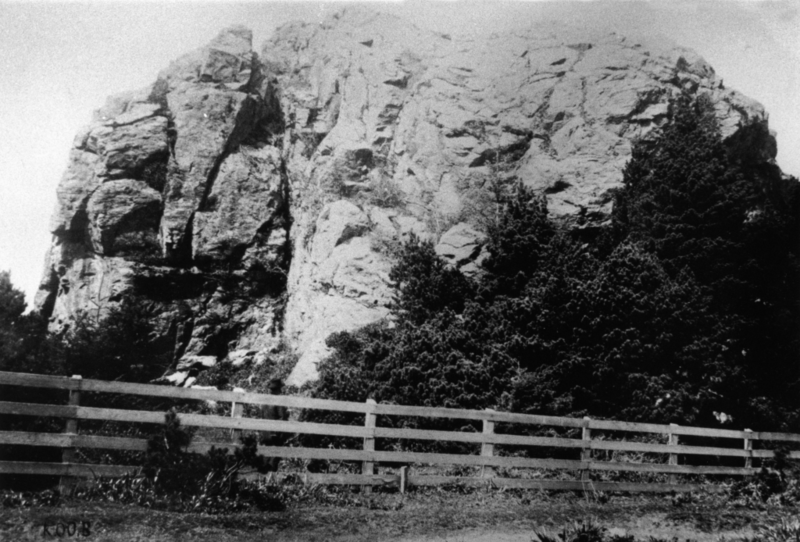 Grandmother Rock, AKA “Tupper Rock,” before its destruction. Blueschist held spiritual as well as practical value to the Coquilles. A towering outcrop on Bandon Beach was revered as “Grandmother Rock.” Euro-American newcomers renamed it “Tupper Rock” and blasted it apart to build Bandon’s jetty. Only fragments survive on the beach.